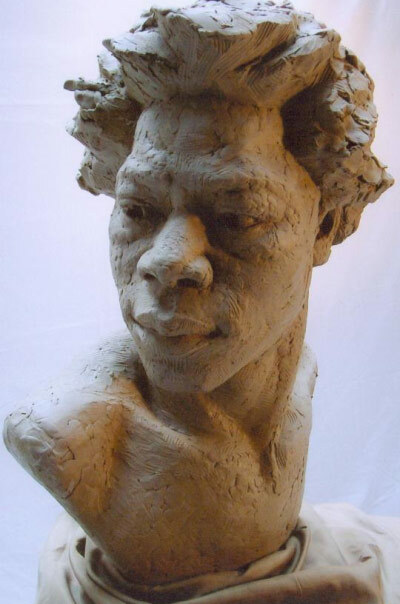 Kudos from Peter Trippi: "Jean-Baptiste Carpeaux made heads just like this 140 years ago, but how wonderful to find an artist who can do it technically while reminding us of how immediate a sculptural likeness can be. This is not a classically beautiful type, but a real human being elevated to the realm of beauty through the lenses of dignity and careful study. We almost feel the sitter could wink at us, yet the sculptor's dynamic touches are visible everywhere to remind us that this is an expertly manipulated image."